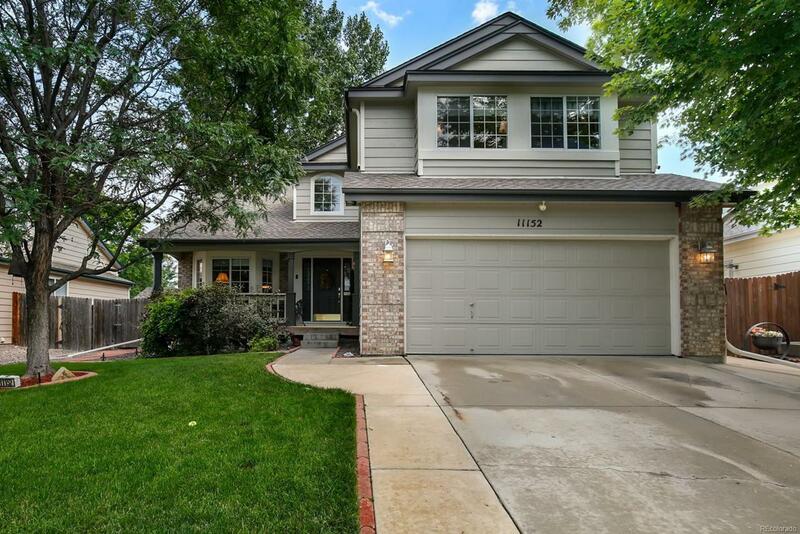 This lovely 2 story home will have you feeling at home from the moment you enter. Walk in to gorgeous tile foyer with high ceilings and wrap around staircase. The open layout between family room and kitchen offers access to the backyard and a perfect space for entertaining. Elegant kitchen with granite counters, breakfast bar, island, the cabinets stretch all the way to the ceiling proving wonderful storage space. Spacious master suite with vaulted ceilings, walk in closet, and luxurious en suite 5 piece bathroom with soaker tub. Dream-like backyard with deck, mature trees, new sod, and tons of greenery in the surrounding garden beds. This home is less than a 10 minute walk to Northwest Open Space and Niver Canal. Super quick access to I-25 makes commuting a breeze.